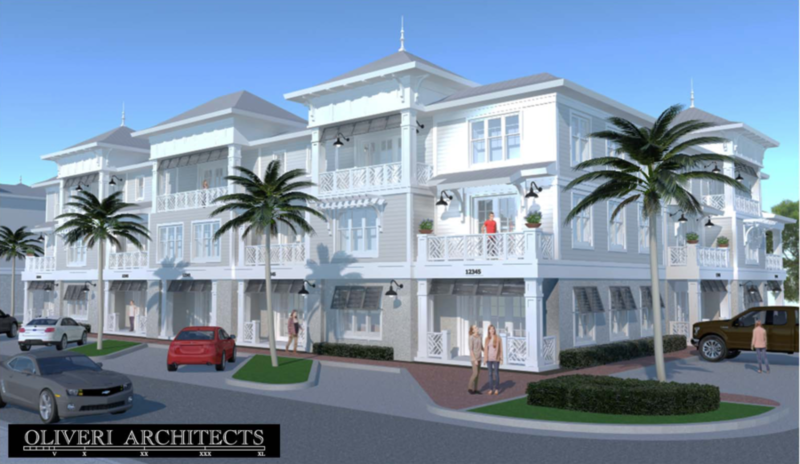 The Safety Harbor City Commission approved the site plan and development agreement for a mixed-use project on Main Street Monday night, paving the way for the first new development in the downtown district in more than a decade. The project calls for two three-story buildings, one residential, one office/commercial, to be built on a vacant lot at the corner of Main Street and Second Avenue North, with 30 parking spaces added to the perimeter and 32 spaces on the interior of the property. Local developer Bay to Bay Properties plans to use the top two floors of the non-residential building as its new office space, with retail or restaurant space on the ground floor, while the residential building facing Second Street North would house 24 multi-family units. While Bay to Bay made several concessions regarding the plans, including reducing the allowable height of the buildings, including architectural designs and setbacks to make sure the project fit in with the surroundings and prohibiting offices from occupying the ground floor of the commercial building for a period of five years to help encourage economic development downtown, the vote was not unanimous. 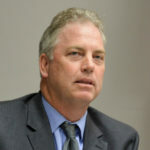 Commissioner Andy Zodrow voted against the project, citing concerns with the residential structure as well as the city’s decision to waive $160,000 in CRA fees for the developer. 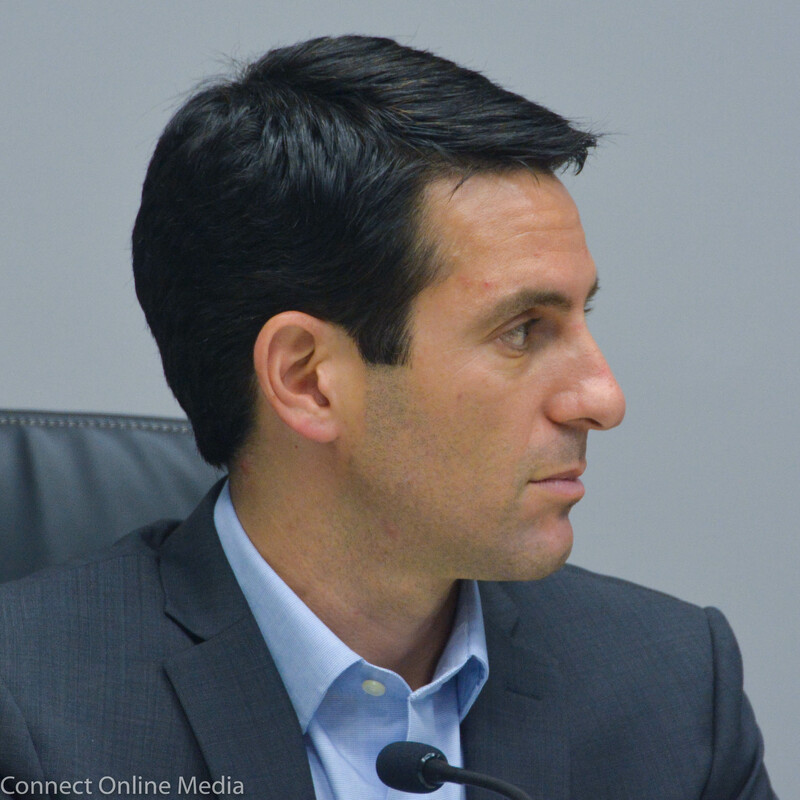 Mayor joe Ayoub, however, said he believed the concessions the developer made outweighed the concerns. “We are getting a reduction in size, a reduction in setbacks, we are getting additional parking,” Ayoub replied. Ayoub also pointed out Bay to Bay “could’ve done something greater in scale” on the property, as the maximum building height allowed for the property is 45 feet. According to the plans, the residential structure will be 35 feet high, matching that of the surrounding neighborhood, while the non-residential building will be 40 feet. Commissioner Cliff Merz, who in previous discussions about the project expressed concerns about the residential building, said he was satisfied with the latest plans. After Vice-Mayor Carlos Diaz and Commissioner Scott Long both expressed support for the project, the commissioners voted on the site plan and development agreement; both items passed by a 4-1 vote, with Commissioner Zodrow casting the “nay” vote for each. According to the agreement, the plan is for Bay to Bay start on the project immediately, with the work to be completed in one phase and take roughly a year to complete. “We’re extremely excited and looking forward to getting a shovel in the ground,” Bay to Bay co-owner Joe Faw told the commission during the discussion of the agenda items. Following the meeting, Mayor Ayoub commented on the city’s first new mixed-use project since the Harbour Pointe Complex was completed in 2006. “I’m very excited about this project being approved and look forward to the completion of it,” Ayoub told Safety Harbor Connect via email. Ayoub added, “by negotiating this project through a development agreement, we were able to require enhanced architectural standards, reduced height, greater setbacks with surrounding homes and added parking for our residents. Three stories is not high anywhere. Stop saying it is high. Good lord. Zodrow states the neighbors to the north are concerned. Then why were they not at the meetings expressing their concerns? Not one meeting did they attend. How do we really know they are upset ? From what I know the actual owners on record no longer live in the house. So should we should be concerned they are abusing the Florida Homestead laws? And they have one of their lots dedicated vacant to reduce their taxes. Does that lot happen to be their south lot? Zodrow came across as their representative, so let’s ask him if they decide to build or sell their lots tomorrow, would he decline their right per code to build a 35′ building? I honestly thought the same thing. There were no residents from adjacent properties there, expressing any concern (despite there being clearly posted notifications about the meeting, as well as public awareness downtown). If the neighboring residents didn’t attend the meeting or voice concerns during the audience-to-be-heard portion of the public meeting, why should we assume they have issues with the project? Agree. If the neighbor on the corner is so upset, then where were they at all the meetings? I wonder if they are not as upset as Zodrow may say? Their property will increase in value and the property has the right to build a 35′ building too. Oh and the concern about walking dogs is weird too. What does building on the dirt lot have to do with walking dogs and the Baranoff Tree? The tree is surrounded by a fence so you can’t get close to it. I am happy to see that the city commission approved Bay to Bay Properties mixed use project at this location. I can’t wait to see these beautiful buildings fill in this ugly vacant lot on Main Street. This project will certainly cause other property owners on Main Street to improve their properties too. 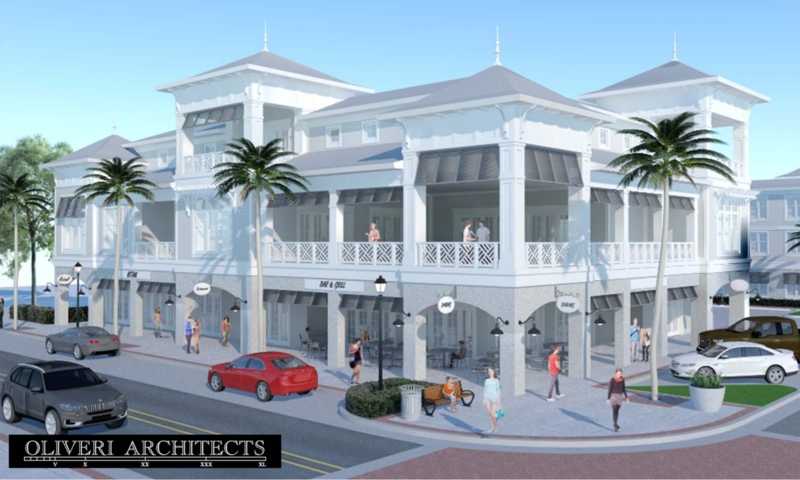 The value of everybody’s property in Safety Harbor will rise as Main Street becomes an even more attractive and vibrant place. Very pleased that 4 out of 5 of our leaders have a vision for a vibrant Downtown Safety Harbor! The Bay to Bay project is beautiful and will bring in new businesses and neighbors to Downtown. And an extra bonus will be 24 new voters with a positive vision to move forward and not live in the past. It is time for Zodrow to go. Next March’s election is only a few months away. So by right they can build 45′, they say they will reduce it to 35′ and Zodrow wants it less. WTF is wrong with him? This is a freakin’ dirt lot. It isn’t even paved. It isn’t a park. It adds nothing to downtown. NOTHING. BUT it was approved so I’m happy. Zodrow doesn’t represent the voices from the last election. Zodrow has got to go! He would rather have a dirt lot. The builder went out of his way to make decisions based upon our community. Zodrow and his small group of fans would rather subscribe to a dirt lot right in the center of our community district. This makes no sense ! Did you notice his condescending smirk is back? He was posturing for his few Status Quo followers. 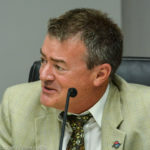 Trina, I thought I was the only one who would see these smirks from him at Commission meetings. Glad others can see through it as well. Glad to see four of our CC members have the foresight, vision and understanding of traditional Main Street design and the benefits of mixed use/ residential development in our CTC district. Three stories for the residential building is consistent with the zoning of the adjacent residential area. And this is the CTC which is intended to be the highest density part of downtown. On top of that, the building is sitting farther back than required due to the added parking spots. AND the adjacent property Mr Zodrow is concerned about is actually 3 lots, the closest lot being vacant/garden, so the house is actually 45-50 feet from the street. I could not imagine better use of our CRA funds than to invest in the improvement of a (10 year vacant) lot for such a beautiful addition to our Main Street infrastructure. Mr Z’s same old rhetoric is getting old, green space, parking, dogs peeing on the Baranoff (seriously?) and 3 story buildings being too tall. Building vertical is better for the environment, and fiscally more responsible and beneficial to the city. And guess what? The increased tax revenue from this development just might help us purchase the Baranoff property in a few years. I’m very disappointed with Commissioner Zodrow’s “no” vote regarding this mixed use project as there didn’t appear to be a legal basis for him opposing it. This Bay to Bay Properties’ project was built within the City’s zoning regulations and within the guidelines of the City’s Master Plan. If this mixed use project were rejected by the commission without a sound legal basis, it would have exposed the City to an expensive lawsuit that the City would ultimately lose. Fortunately, the majority of the Commissioners did the right thing and approved this well designed project, which will be a great addition to our charming city’s downtown. It’s clear now that Commissioner Zodrow represents a certain minority faction in Safety Harbor, and not the community at large. His vote clearly pandered to that constituency, and not to reality. Move on, Mr. Zodrow. Your condescending attitude and failure to regard the welfare of the entire citizenry have no place on our City Commission. Obviously the city was in need of a commercial structure at that location and what better than a mixed use project. I cannot imagine that anyone would advocate for a parcel to remain unimproved on their main street. However, it all comes down to an aesthetically pleasing project (which I believe will be constructed) that is fitting with the city’s atmosphere. I think there are some out there that will always feel a Main Street structure is too big and will always be too big, but this is Main Street and the most intense use should be allowed along this location vs. other locations further away from Main Street. The city has a 3 story rule which prevents taller projects to be constructed thereby preserving quaintness. As I read some of the remarks above, I cannot understand why it is that residents feel compelled to rip apart one or more commissioners for the way they feel and vote. There are residents with differing views, none of which are right or wrong. Our community needs to take a step back and begin to respect the views of others even if you do not ascribe to them yourself. For too long we have had extreme views and nastiness. So, the next time a commissioner/mayor, resident, writer, or blogger on this site expresses a view you do not agree with please respectfully disagree or pay no attention to the expressed thought. Safety Harbor is a great city with great people and we need to be thankful for just how good we have it here instead of expressions of anger toward those we disagree with. Look forward to the impending progress in our city whether it is something I like or something I do not like. Oh, and thank you to our elected folks who I agree and disagree with for making the tough decisions on the progress of our city. The above comments were respectively disagreeing with Commissioner Zodrow. No one called him a name or ripped him apart. I was at every meeting on this project and never once did the homeowner of the NW corner of 2nd & 2nd speak up so how do we know they are against the project? Commissioner Zodrow is against it and voted that way. Period. Majority are excited about the project and spoke up. Not sure if you attend the CC Meetings but if you have then you too would have heard the condescending remarks some have received from Commissioner Zodrow. They are public record. “Dumb Stagnation” comes to mind. In what universe is a 3-story building too tall for downtown? This is ridiculous. Literally anything is better than a vacant lot downtown. I’m glad to see Safety Harbor is finally getting some new, much-needed development after a decade of being all but dormant. And every Downtown business should be ecstatic knowing new residents will be living downtown! 24 to be exact!! !